I guess I'll start a build thread on my Jimmy. Most of everything I've done has been done before on here. 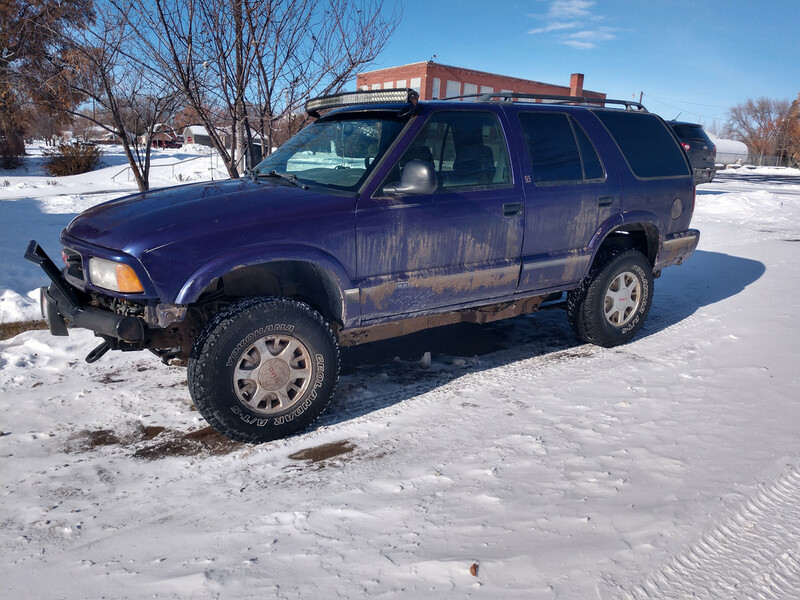 I purchased this 1996 4 door 4x4 about 6 years ago for the wife's daily. She fell in love with the purple lol. It was all stock and in decent condition. 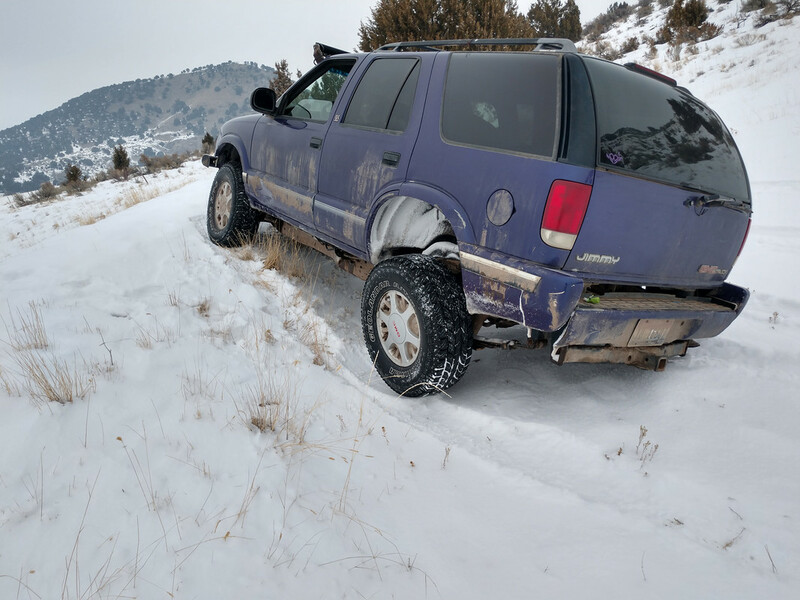 She wanted it lifted and bigger tires. 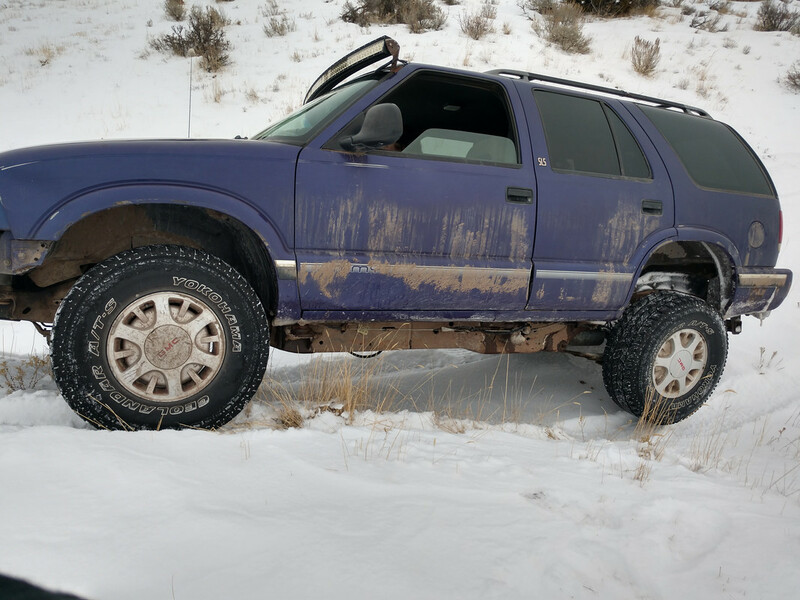 So I added shackles, keys and 31" Yokohama geolanders. Fast forward a couple years. The wife got a new car so the Jimmy becomes my daily. 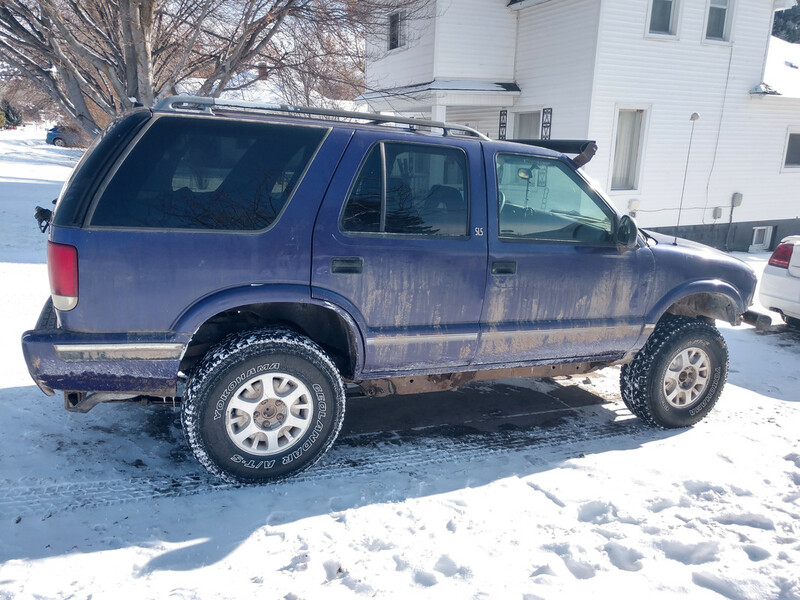 I drove it without changing anything up until this winter. 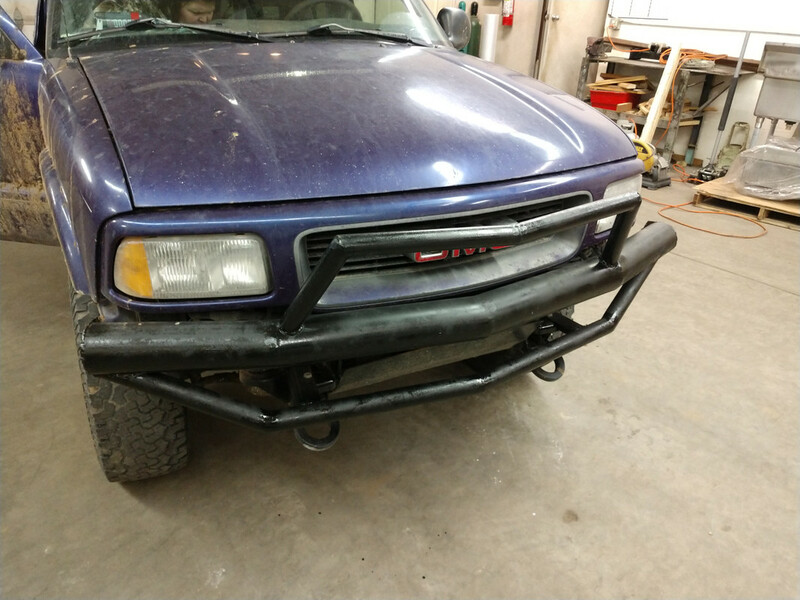 I added a 52" light bar and started fabbing up a custom front bumper. I didn't like how I had the light bar mounted so I built some new mounts. 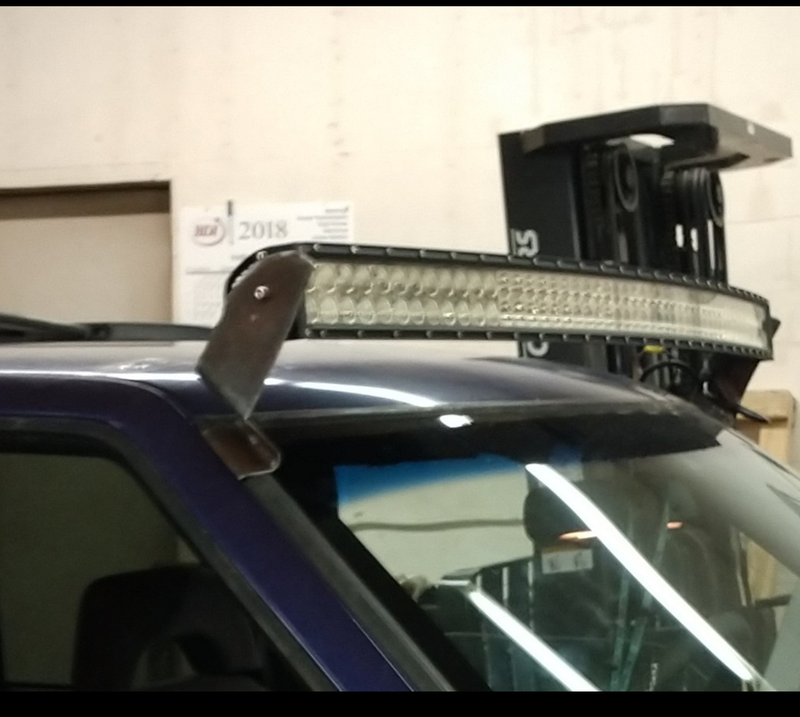 I have since moved the light bar down and back. I still need to clean up and paint the mounts. 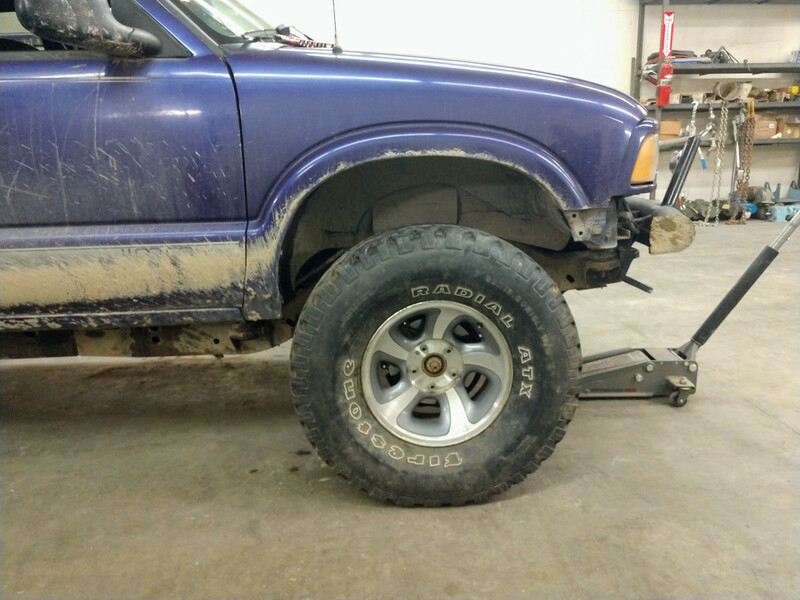 Then came a 2" body lift. 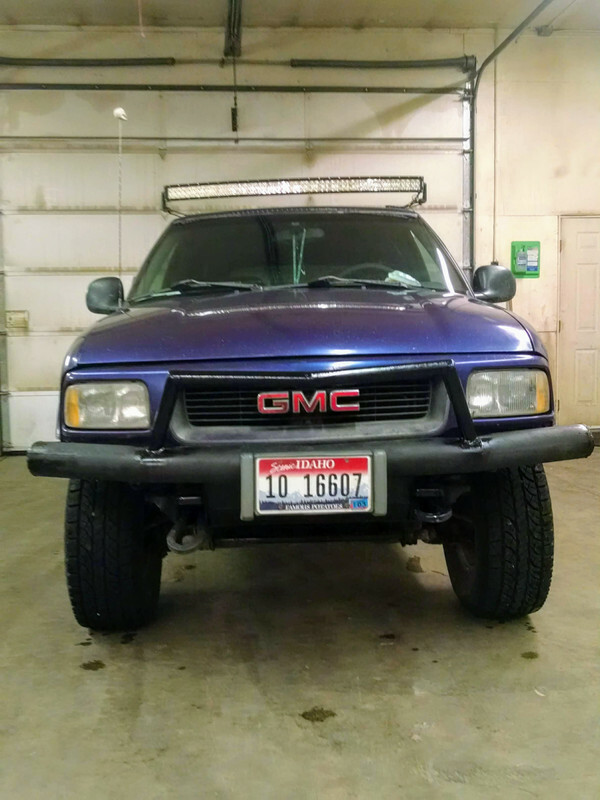 Since these pictures I have raised the front bumper but not the rear. 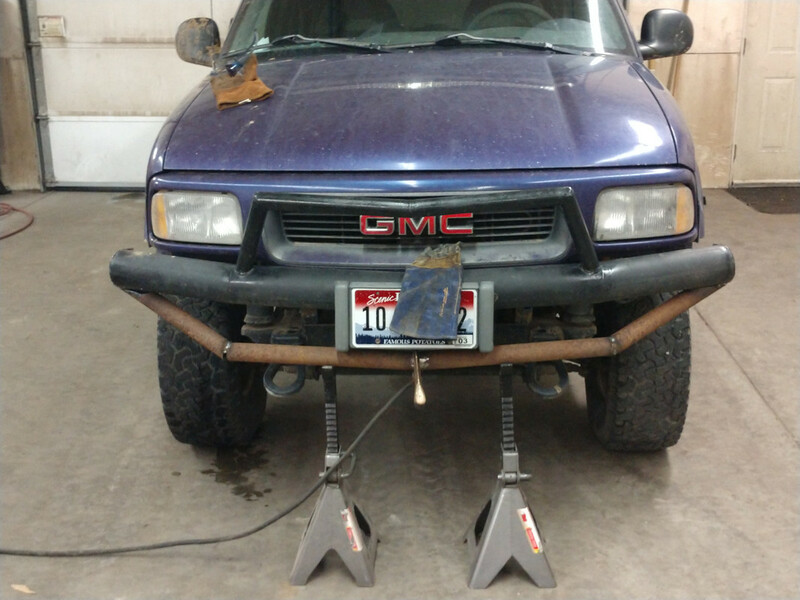 I'm going to build a bumper for the rear and raise up the receiver hitch. I still need to install my add a leafs and add an extra leaf or two. 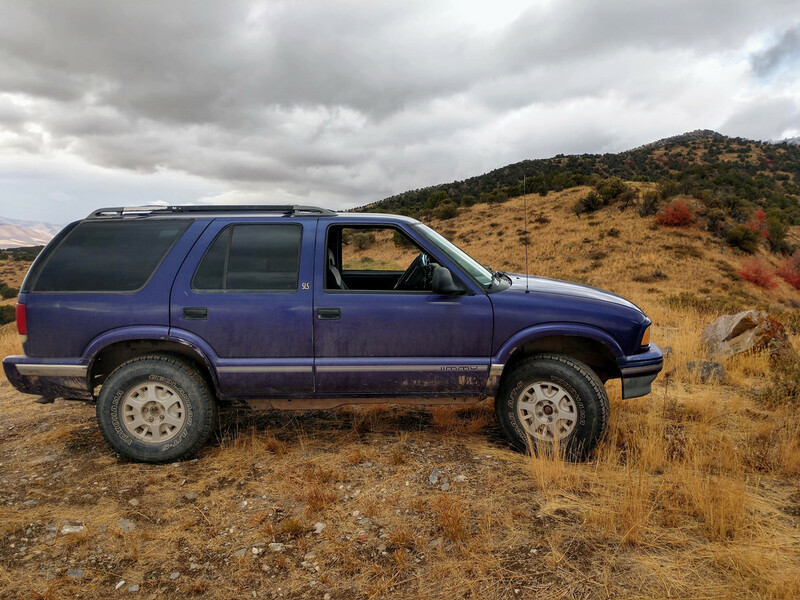 I have plans for a roof basket and a few other things I want to do. 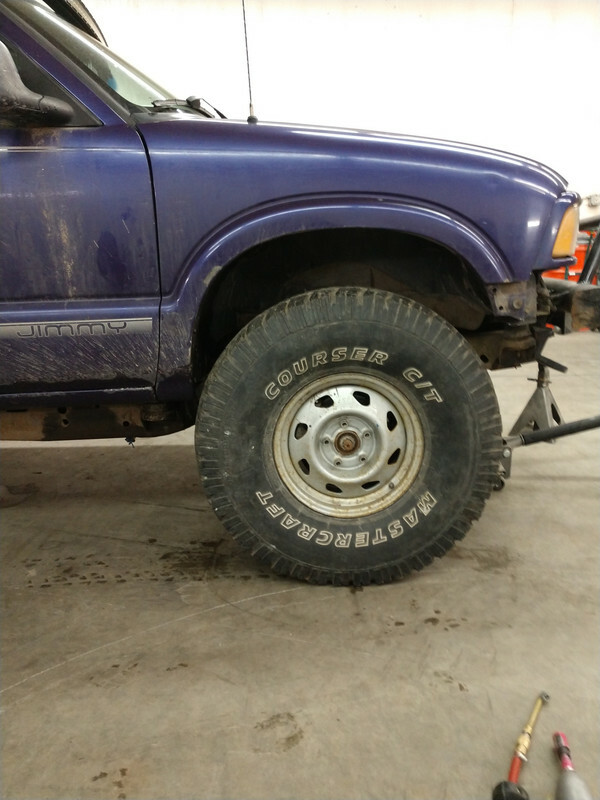 I'm going to be trimming fenders soon to clear some bigger tires. 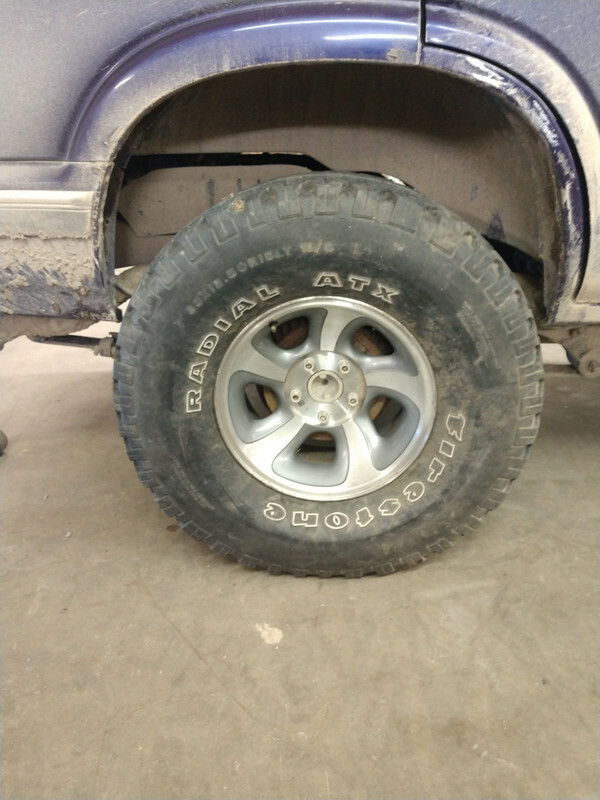 I have test fit 33/12.5/15 and just for fun 35/12.50/15. 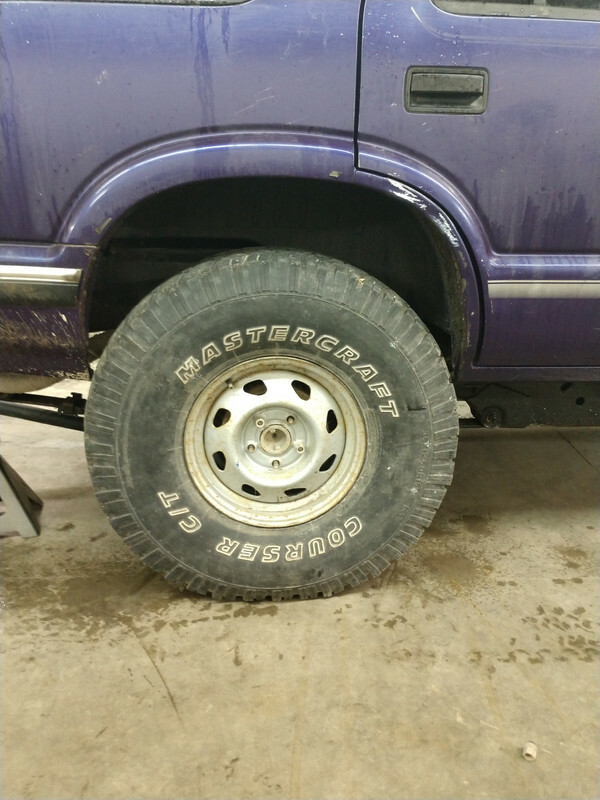 I do have a set of 2wd rims to mount when I get tires. So for now that's how she sits. We go out and play 1-2 times a week in the Jimmy. 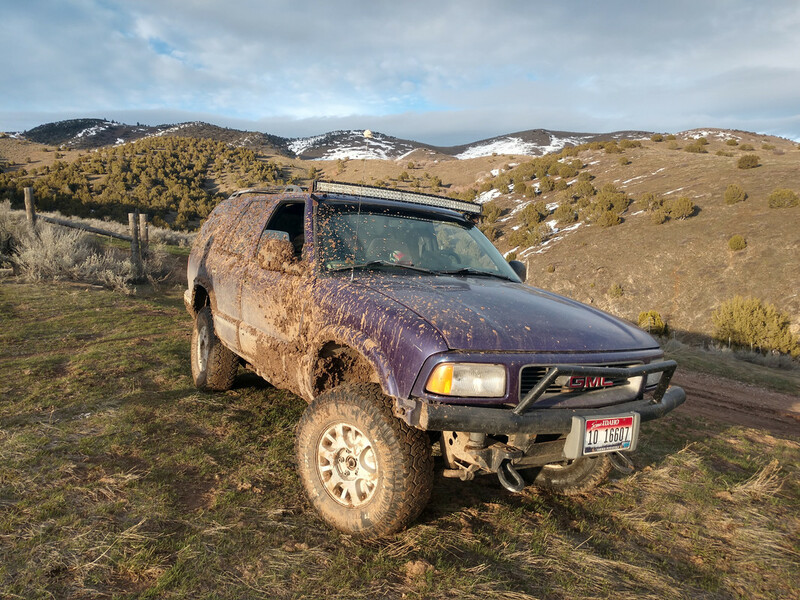 It's a fun little truck that has really surprised me. Like that color, man! Don't think I've seen one that color before! That front bumper came out nice. 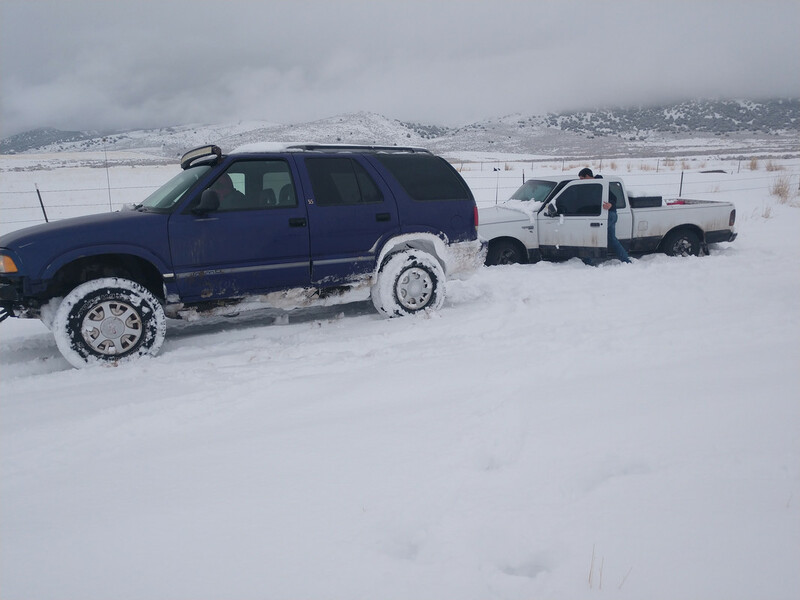 Looks like a lot of fun over there in Idaho. Thanks guys. 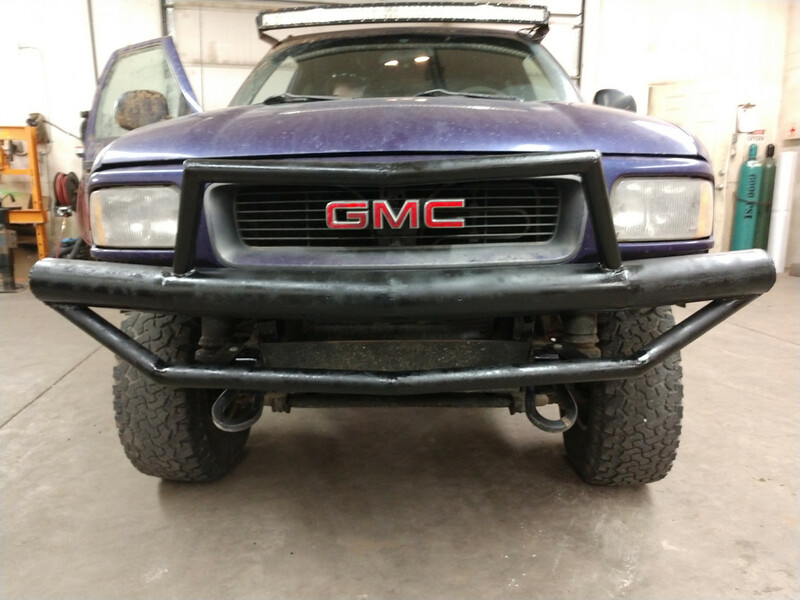 The bumper isn't finished yet but it is coming together nicely. I am fortunate to live where I do. 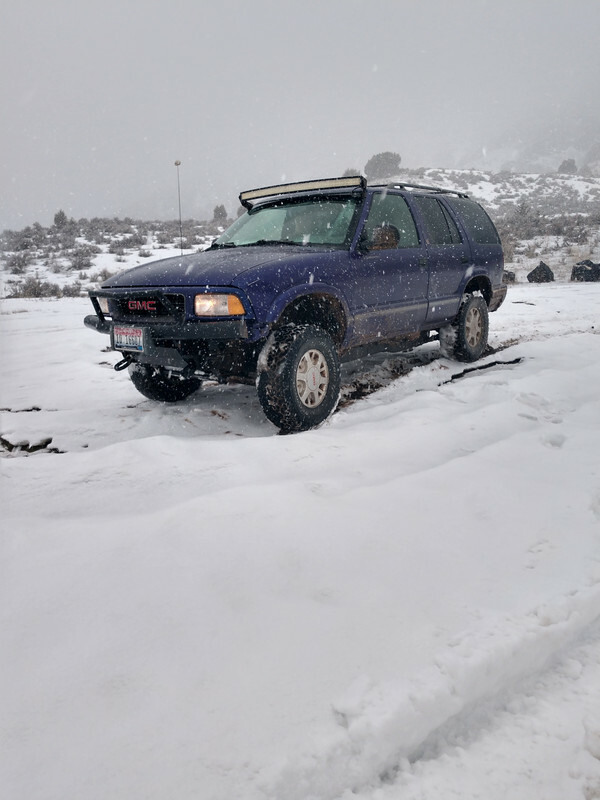 Plenty of public lands and I have access to some private areas as well. I'm hoping to get some more upgrades done the next week or so. I managed to get some time to work on the Jimmy tonight. I broke down an old set of stock rear springs off my suburban to make a b*stard pack for the rear of the Jimmy. Then I did some more work on the front bumper. Worked on the bumper again tonight. These pics make it look huge lol. I'll get some better pictures a little farther away tomorrow.